The premise is to provide the creature comforts of a permanent residence and the amenities of a high-end hotel in one package – and the AKA Sutton Place in New York certainly doesn’t disappoint. The boutique property, designed for extended stays, offers its guests all-inclusive amenities, including the striking a.lounge, a place where residents can relax and enjoy coffee and pastries in the morning and wine and cocktails in the evening. Designed by acclaimed design house Meyer Davis Studio, known for celebrated NYC restaurants Locanda Verde and Boqueria as well as noteworthy hospitality and residential projects around the US, the a.lounge has been created to artfully complement Sutton Place’s traditional warmth with a relaxing ambiance. And at its heart is a carefully considered and placed open fireplace. 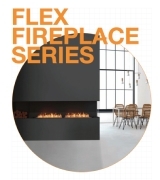 Given that many places in New York City are not equipped to have a fireplace because of ventilation issues, the Meyer Davis team discovered EcoSmart Fire while researching ventless options. 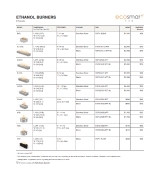 The environmental aspect of using the bioethanol-fuelled EcoSmart Fire was another deciding factor for the design team. “We love the modern look of the EcoSmart products,” Meaghan says. “The ventless aspect of the system is important because we are able to use them in places where ventilation is not possible.“We did not choose this product as a heat source but as an aesthetic design element to enhance our overall concept.” For the a.lounge, the XL700 burner has been incorporated into a setting with marble top – a design element that’s consistent with the lounge’s stunning marble bar – and is surrounded by blackened steel on two sides and above. “We wanted the space to feel relevant to its location. We looked at the traditional and upscale neighbourhood, Sutton Place, and put a modern twist to the style with materials, furniture and lighting,” adds Meaghan. 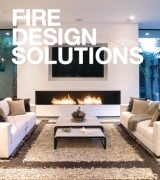 No stranger to EcoSmart Fire, Meyer Davis Studio has previously used EcoSmart Fires in residential, restaurant and hotel projects. 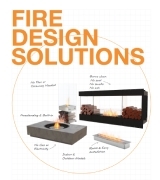 “And we have already specified EcoSmart fireplaces for projects currently being designed,” Meaghan adds.